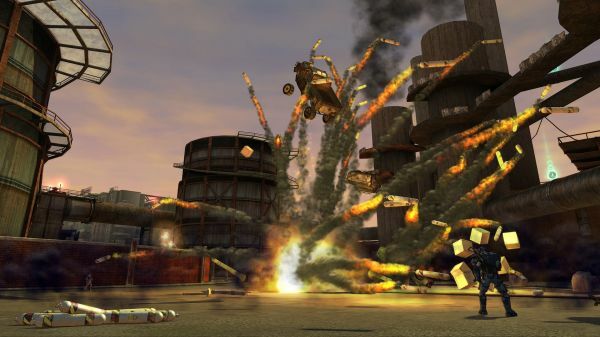 According to an Edge Online interview with Ruffian games, Crackdown 2 is scheduled for an early 2010 release as the game sits about 60% complete. The full interview talks with Ruffian's founder Billy Thomson about the game and it unveils some new details we haven't heard before. We've been hearing how there's some major design changes with the game to really polish off the experience compared to the first, and now we know exactly what that means. Gone are the annoying cut scenes of the first game that would just randomly pop up, instead the game will utilize cleverly placed in world video screens to convey information about the missions. The missions themselves are a lot more in depth now, instead of simply "kill this bad guy" you'll have to complete an objective. For instance one mission might be to divert incoming oil from the refinery to the Agency tower or to get an object from Point A to Point B. Of course how you do any of these is half the fun. With the addition of four player co-op to the game, there's a lot of care being taken to not only balance things, but make them fun for all players. 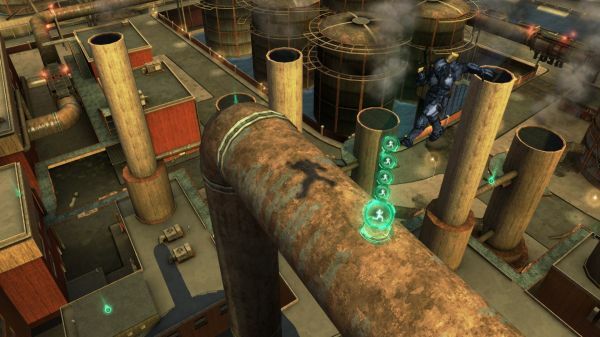 The game encourages approaching missions from different angles at the same time by different players. This seems to naturally drive players into "roles" like cover, point man, support, etc. Another nice feature for co-op players is the ability to accomplish more than one mission at a time. If you want you can pair up and each go complete a mission, or split up completely lone wolf and complete four at once. This helps alleviate balance issues with different level agent characters. Combine all this with new weapons, grenades, and orbs and we're completely giddy. Crackdown 2 and early 2010 can't come soon enough. Gather some friends Agent, we're gonna blow stuff up.